Welcome to The Carolinas Equestrian! 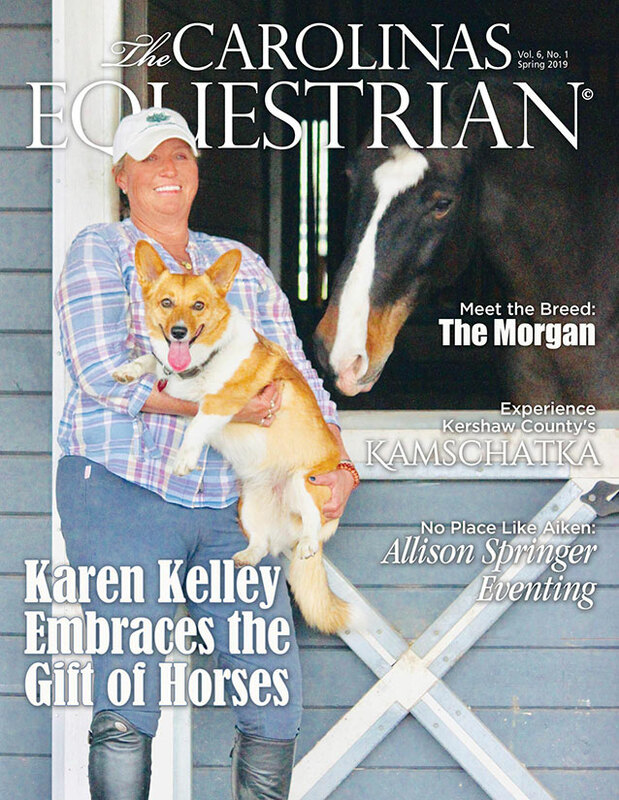 This publication is a blend of two passions – horses and writing. Growing up on a six-generation farm in South Carolina, my family has always been avid horse-lovers. Both parents have shown hunters-jumpers, gaited horses and fox hunted most of their lives. I have shown Western, Saddle Seat, Hunter-Jumpers, fox-hunted for 40-plus years and judged various horse shows. Additionally, I have raised our two children to be devoted horse enthusiasts; both actively ride and show Hunter-Jumpers. My commitment to The Carolinas Equestrian is to cover all breeds and all facets of horse-centric communities, throughout both Carolinas such as Aiken, Camden, Tryon, and Southern Pines, among others that embrace the equestrian lifestyle. I understand that horses, and the horse industry, have a significant impact economically on the areas in which they reside and vice versa. Horses and the horse industry have a significant impact on North and South Carolina’s business community and vice versa. The equine industry has deep roots in North and South Carolina. The first horses arrived in these states during the 1500s, where they were used, as they are today, for work, pleasure and companionship. We are pleased to offer a publication that captures the spirit, essence and passion for the land, the environment, the people, their interests and the common denominator that brings them all together … the horse.